Ideal for Pneumatic Control Air & Sprinkler Systems. Ideal for Contractors, Automotive, & Small to Medium Shops. Ideal for Automotive, Control, Manufacturing & Medium to Larger Shops. 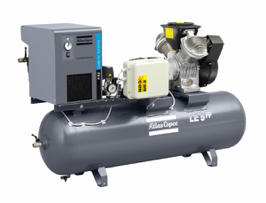 LE – LT Series; Direct Drive High Durability Compressors.